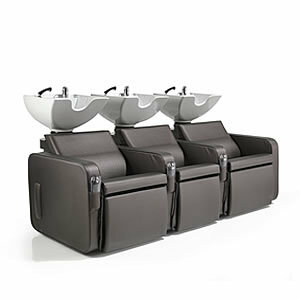 The Dune sofa style washpoint from Rem which will make your wash area a very comfortable and stylish enviroment for your customer. 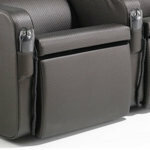 The Dune features upholstered arms, seat and sides, available in any colour from the REM fabric range, including dual colours, at no extra cost. 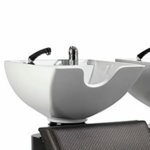 The Dune comes with the Neo square shaped tilting basin and monobloc mixing set as standard. Sizes: Width 207cm, Depth 123cm, Basin height 101cm.